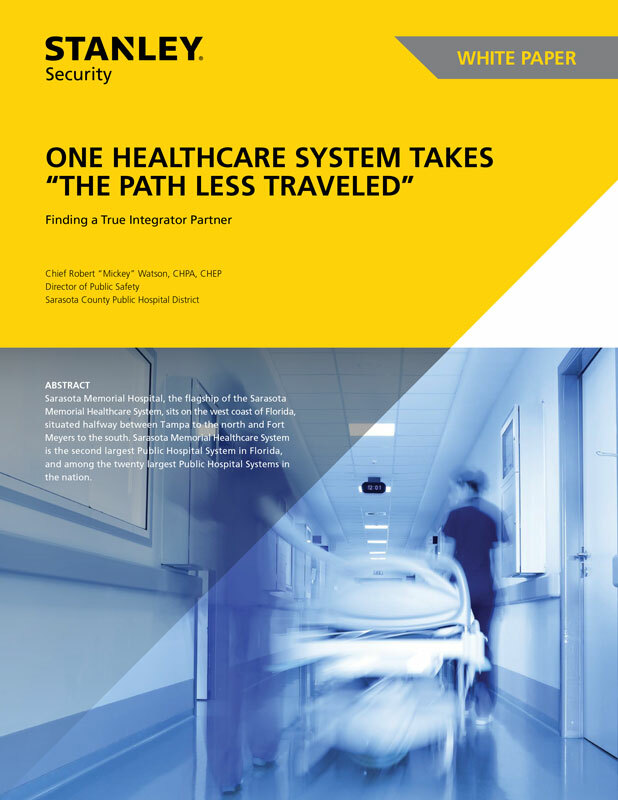 "One Healthcare System Takes the Path Less Traveled"
As you know, integrating a VMS system into your facilities is no small task– and moving from a centralized server to a decentralized one can be even more complicated. Chief Mickey Watson, Director of Public Safety for Sarasota County Public Hospital District, recently faced these challenges at Sarasota Memorial Hospital. In this new white paper, Mickey offers his candid perspectives on the unique issues he encountered during this process, as well general advice for any hospital system seeking to improve their security systems.